He said companies should waive customers' bills for October and eliminate penalties for switching carriers. Florida Gov. Rick Scott issued another rebuke of Verizon today, telling the cell provider in a terse press release that he expects the company to give him a plan today to restore service to the areas hit by Hurricane Michael, and that all cell providers should waive bills for October. The press release was addressed to all cell phone providers, but it singled out Verizon, which has struggled to restore service in Bay County, where Michael made landfall. Over the last 48 hours, both Scott and CFO Jimmy Patronis have criticized Verizon's slow recovery, and on Monday, Scott met with the company's senior vice president and chief network officer, Nicki Palmer. 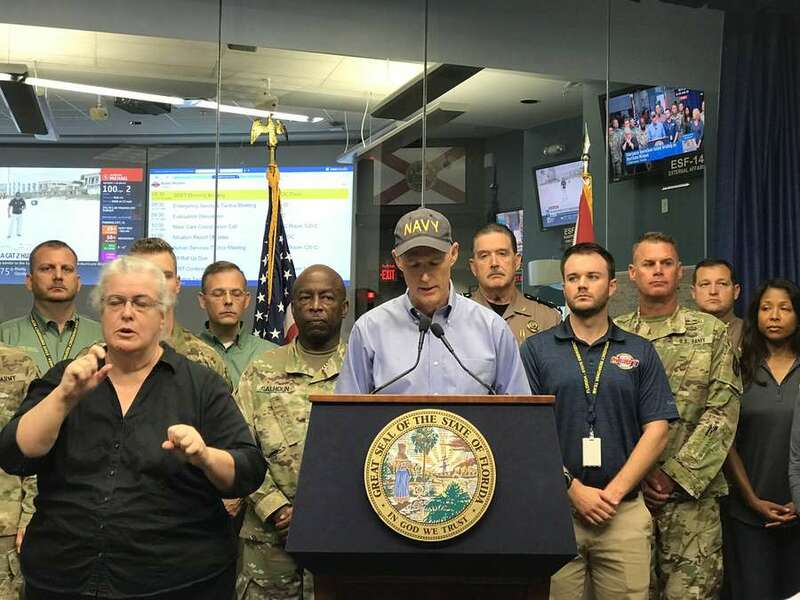 "Verizon recently said in a press release that 98 percent of Florida has service," the governor's office press release said. "This statement, which includes customers in Florida that were hundreds of miles away from impacted areas, does not help Florida's law enforcement in Bay County and families communicate with loved ones in Panama City and does not help those needing medicine call their pharmacy in Lynn Haven." Customers in the impacted counties should be allowed to switch providers without penalty. Some cell phone contracts still penalize customers for switching before their two-year contract is up. Bills for customers in affected counties should have their October bills waived. "Families understand that the telecommunications industry, like the power companies and other services, experienced catastrophic damage to vital infrastructure," Scott said in the press release, "but that does not change our expectation that each telecommunications company will be open and communicate a clear plan on how they intend to quickly restore service while treating families fairly." The press release added that "The Governor expects that a plan for full telecommunications restoration will be communicated today." Verizon has said it's suffered "unprecedented damage" to its network in Bay County. The return of cell service has been critical to telling people where to find supplies after the storm, Scott has said. In Mexico Beach, people have been forced to stand on bridges to get any sort of cell signal.